On 29th June 2017 the Bishop of Southwark, Rt Revd Christopher Chessun, received a written answer from Government about electricity flow from Israel to Gaza. 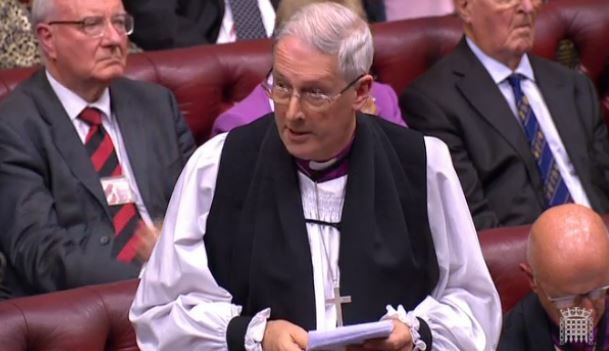 The Lord Bishop of Southwark: To ask Her Majesty’s Government what assessment they have made of the humanitarian impact on Gaza of the decision by the government of Israel to implement a request from the Palestinian Authority to reduce the flow of electricity supplies from Israel to Gaza. Lord Bates: We are closely monitoring the current electricity situation in Gaza. This was initially triggered by a lack of fuel for the Gaza Power Plant, and exacerbated by a subsequent reduction in the supply of electricity from Israel, following a request from the Palestinian Authority. Gaza is considered a humanitarian priority for the UN and, though the humanitarian situation is deteriorating, the UN Office for the Coordination of Humanitarian Affairs has not declared the current situation an ‘emergency’.